In distinguishing emergence from hierarchy, the stratified relation of novel emergence was described of a product produced from underlying component technologies. This relation was linked to the first asymmetric dilemma distinguishing technology from product. In this posting, a second asymmetric dilemma is identified distinguishing the supplying business from the customer solution offered to the market. 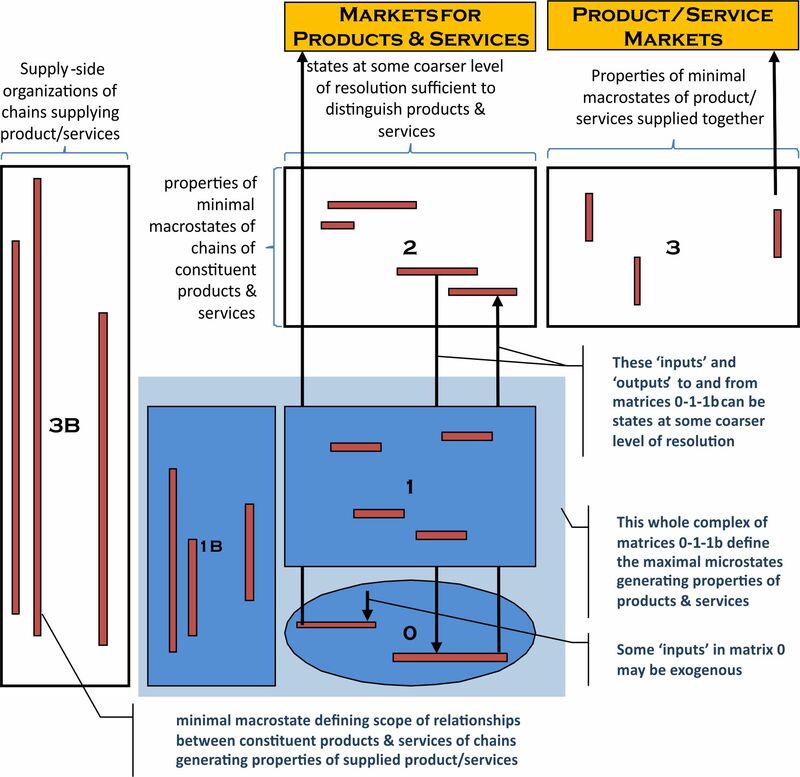 The ‘outputs’ of the systems-of-interest in Matrix 1B – products and services – may be sold directly into markets, or they may form the constituent parts of value chains in Matrix 2. The properties of these value chains constitute minimal macrostates that, when organised by a supply-side organisation of chains in Matrix 3B, result in the properties of minimal macrostates supplying product/services out of Matrix 3. Matrix 3 is thus representing the way matrix 3b brings together the outputs of chains in Matrix 2 for supply to particular product/service market niches. Bob Martin’s innovative advertising campaigns from the 1930’s onwards led to the Bob Martin range quickly expanding from the original conditioning powders to remedies and preventative healthcare products for a wide range of canine and feline ills. Leading brands such as Pestroy were originally launched as far back as 1936.
matrix 2-3-3b generating economies of scope: The ability of a business to extend the scope of its operations across different markets reducing average operating costs. (i.e. covering more markets with the same business process infrastructure). The novel emergence here is in the ability to deliver some particular form of product/service capability through customization where and when it is needed. Delivered in the form demanded by the customer, it constitutes a c-type value proposition. With Bob Martin’s, a c-type proposition would be the ability to deliver customized ranges of remedies and preventative healthcare products to customers. 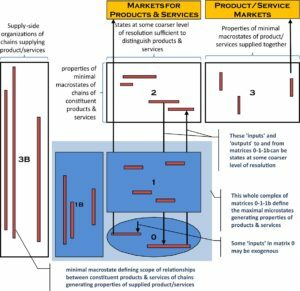 Taken together, these matrices will describe 1st, 2nd and 3rd order behavioral closures imposed on the supply of products, services and product/services to their chosen markets. The amount of detail in the matrices will reflect the resolutions chosen to distinguish maximal microstates and minimal macrostates defined in distinguishing novel emergence from levels of hierarchy. These are the economies of scale and scope, distinguished from economies of alignment described by matrix 4-5-5b with respect to customer situations in matrix 6-7-7b (defining demand situations and effects ladders). 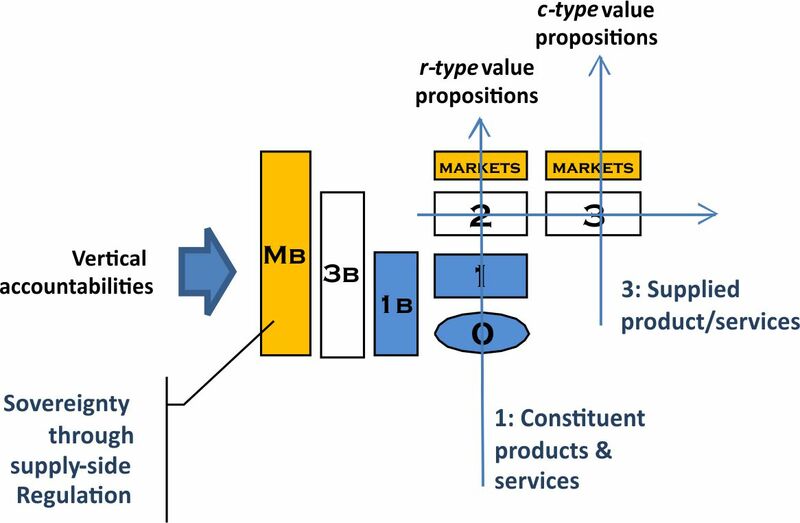 r-type and c-type value propositions are two of the four kinds of value proposition defined in rcKP – value propositions at the edge.